Nothing warms you after a round of caroling at your assisted living community quite like a cup of hot cocoa and marshmallows – except tea! There are thousands of flavors of tea that offer the warmth and comfort of its chocolate alternative but without all that sugar. Green tea offers antioxidants that can help your immune system fight seasonal colds. Tisanes are made with fruit, and drinking them can make you feel positively tropical. During the winter months, people turn to chocolate for warmth and comfort. Unfortunately many of the popular flavors contain a lot more sugar than cacao, the bean that is used to make chocolate. Milk and white varieties of this treat are much more sugary than dark chocolate. Look for sweet treats with a 70 percent or and higher count of cacao to reap the benefits of this antioxidant-rich plant. 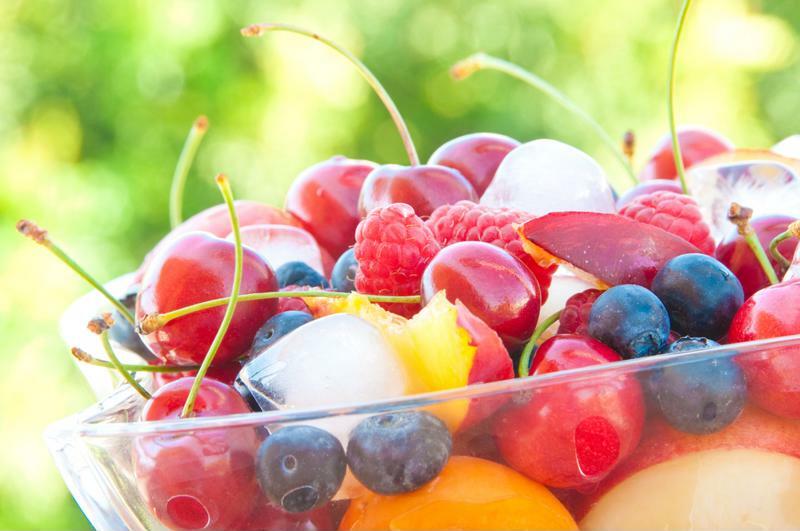 Fruit offers a naturally sweet flavor without the artificial ingredients found in many sweets. Fruits contain natural sweetness and none of the chemicals found in artificial ingredients that often sweeten store-bought goods. When you head to a holiday party, bring a bowl of fruit instead of a batch of cookies. Chances are you won't be the only one trying to eat healthy, and there will already be plenty of pastry treats to go around. Grapes, melons, oranges, kiwi and apples are all great choices. To get the most fresh fruits, look for varieties that are in season in your area. These have traveled less distance and required less chemicals to get them from the farm to your doorstep. Gelatin (or brand name Jell-O) is a fun dessert that can be easily customized to your taste. For instance, you can make it without sugar and then include blueberries, strawberries or even cherries to add some fun festive hues in the center. Try layering red and green gelatin dessert or even mold the final product into a wreath shape to bring the dish to a party. The guests will appreciate your health-conscious attitude and the work you put into creating a Jell-O masterpiece! You can always turn to sugar alternatives to sweeten a dish without the calories. Dates, for example, make a great substitution for white or brown sugar and are also super tasty in raw dishes like carrot cake. For recipe ideas, check out Pinterest or Allrecipes.com.